A typical part of morning routine—right after the “really?” side-eye I toss at my smartphone alarm—is checking to see what’s new and good on a few subreddits I care about. Imagine my surprise this morning when Reddit started shooting out various error messages whenever I tried to pull up the site. 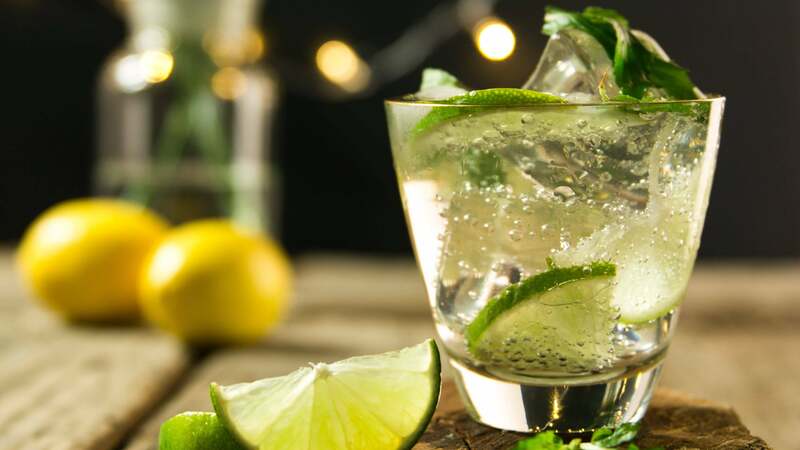 While you might be tempted to mash F5 in these instances (or the little “refresh” icon in your favourite browser’s toolbar), there’s a better way to see what’s up with a website when it’s not doing what you want it to do. In this case, my favourite website for checking a website’s status—Down For Everyone Or Just Me?—didn’t help. It said Reddit was online, which is certainly plausible given that I was getting a customised error message rather than a 404 or 503 error in my browser. However, the second trick I try in these situations worked perfectly. I went up to my browser’s address bar, backspaced out the “www,” and typed in “status,” giving me a final url of status.reddit.com. 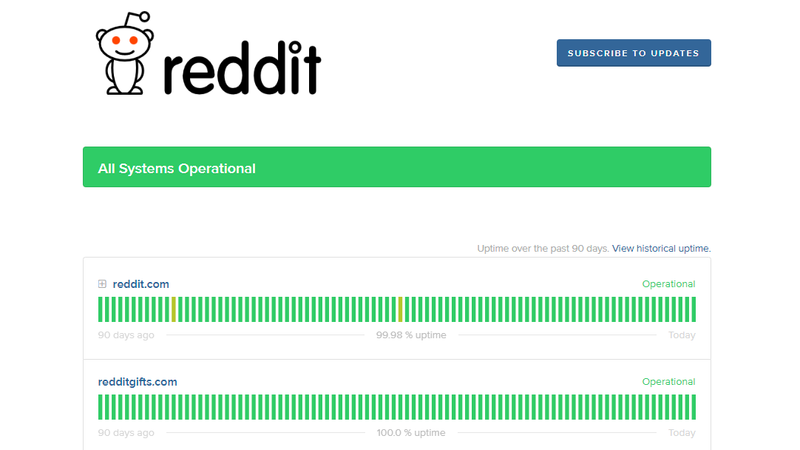 This doesn’t work for every website, obviously, but I lucked out that Reddit—via Statuspage—maintains an up-to-the-minute series of charts and figures about the site’s uptime. 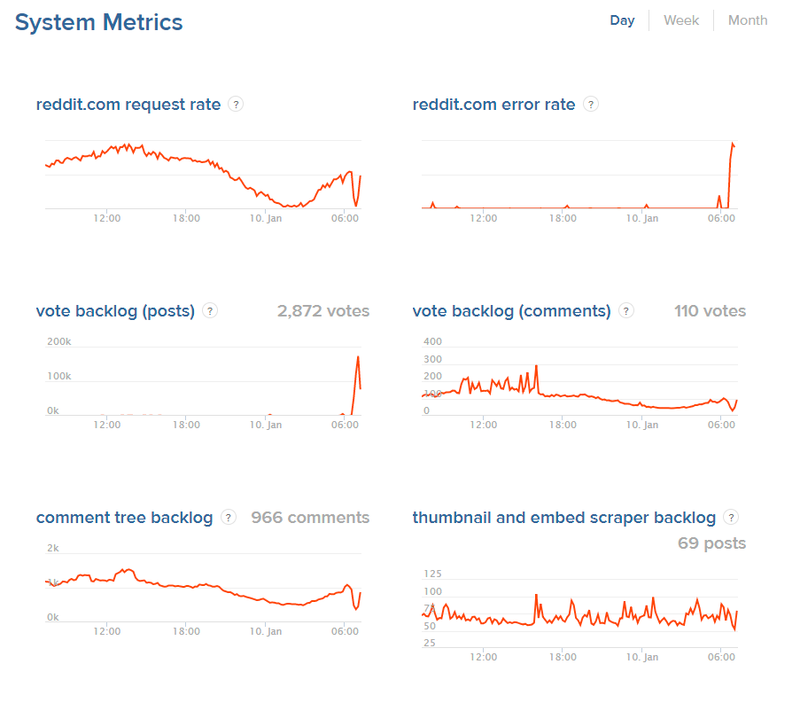 Not only could I quickly see that Reddit was having issues, noted as an incident at the top of the page, but I could also drill down to see which sites were affected (reddit.com and/or redditgifts.com) and what other users might be experiencing. 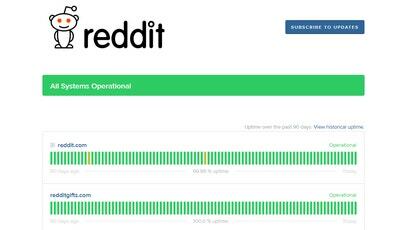 At the time of the issue, the request rate for reddit.com plummeted to nothing, and the error rate skyrocketed to the top of the site’s chart. 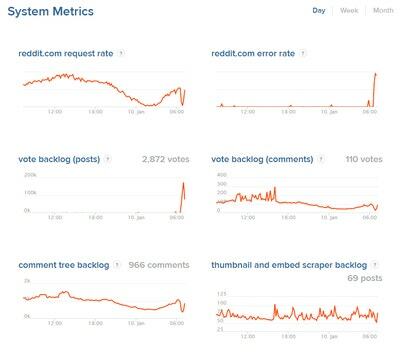 Whatever issue took Reddit out for 20 minutes or so, as was later reported on the “Past Incidents” portion of Reddit’s status page, was affecting a lot of people, not just me. Attempting to mash my way into the website probably wouldn’t be an effective use of my time, so I didn’t. If I really cared, I could even sign up for email updates on Reddit’s status page, but then I’d get a message every time Reddit has an issue (or fixes it), and that’s a bit much for me. As you’ll see, some websites prefer a “sitenamestatus.com” implementation, rather than status.website.com. If you’re having trouble with a website, try both versions—if you’re lucky, you’ll get some kind of status page so you can figure out what’s going on.